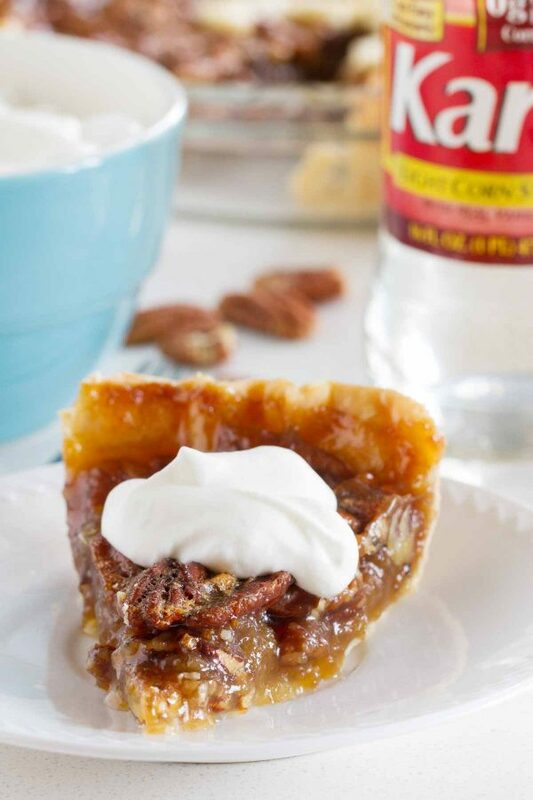 You can’t beat a classic, and it doesn’t get more classic than this Classic Pecan Pie recipe. 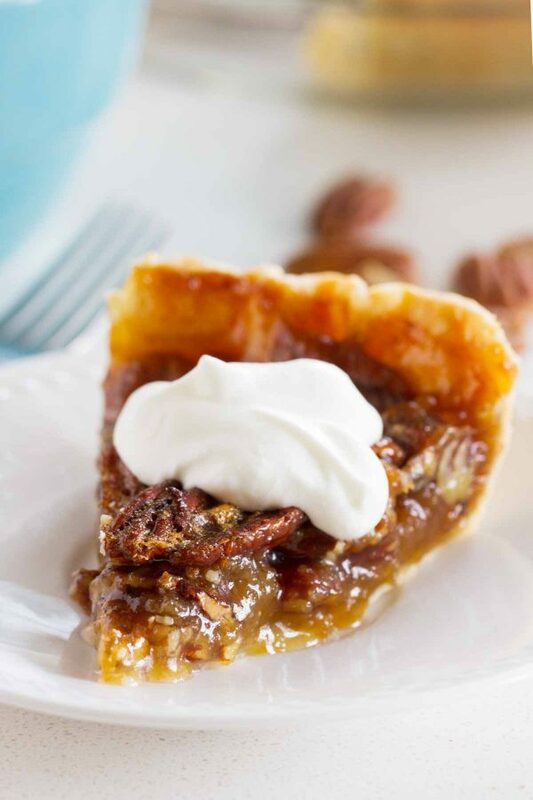 Perfectly sweet with a wonderful crunch from the pecans, this is the best traditional pecan pie recipe for holidays or anytime you’re craving it! This post was originally posted on March 8, 2017. I’m bringing it back to the front today because this is the perfect recipe for the upcoming holiday season. 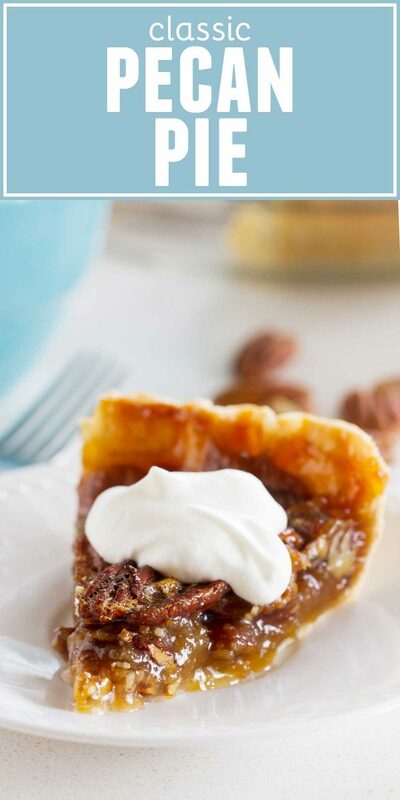 Pecan Pie is a must! 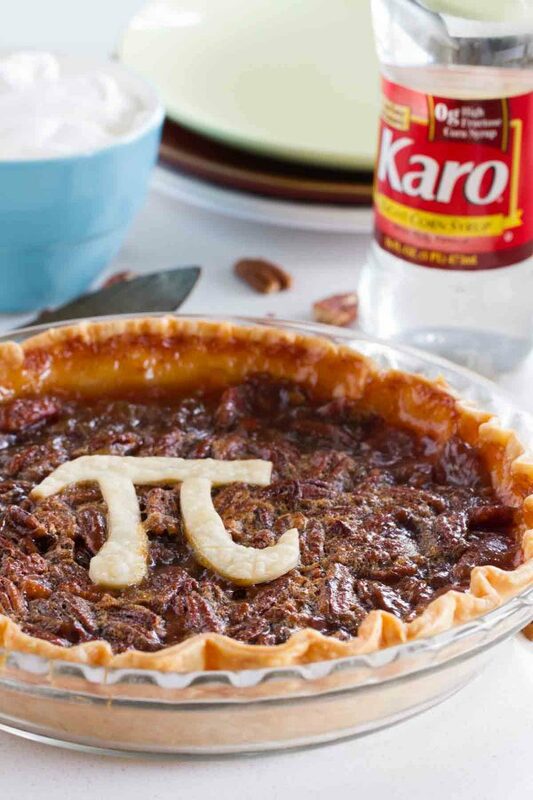 This Easy Pecan Pie Recipe is super easy and can be made without the Pi symbol. 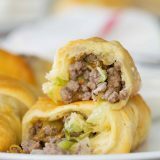 You’ll love this holiday pie recipe! I’m always a sucker for any way to celebrate a holiday with food. 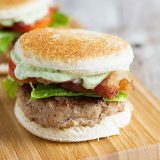 I don’t have a bit of Irish in me, but I love a little bit (or a lot!) of green for St. Patrick’s Day. Valentine’s Day? It’s most definitely all about the chocolate and red velvet. But there is another holiday that is all about the food, too. 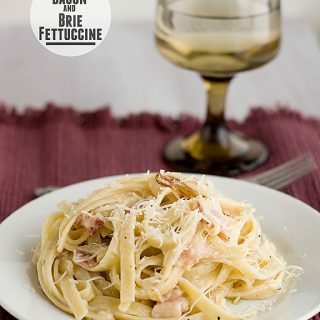 One of my favorite foods, in fact. Pi day. March 14 – aka 3.14. If you are a math buff, you totally get this, and probably have your own (non food) celebration all planned. But I am not a math buff – my least favorite subject, in fact – and I’m ALL about the other pie. The pie you can eat. If you don’t already know, I’m a bit of a pie lover. I love all desserts, but pie holds a special place in my heart. I love it so much, in fact, that I made at least one new pie a month last year here on the blog. While I have 2 variations of the pecan pie – a Coconut Pecan Pie and this cute Mini Chocolate Pecan Pie in a Jar – I didn’t actually have a traditional, classic pecan pie recipe. And since I said this year is going to be the year of bringing it back to the basics, I figured Pi day would be the perfect time to share the perfect Pecan Pie! 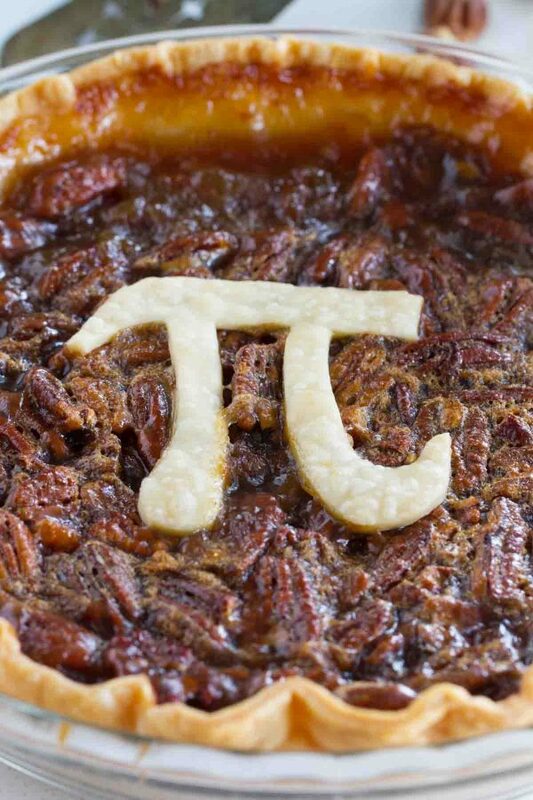 I also thought it would be fun to show you a way to “decorate” your pie for Pi day! If you are a pie novice, the classic pecan pie is the place to start. 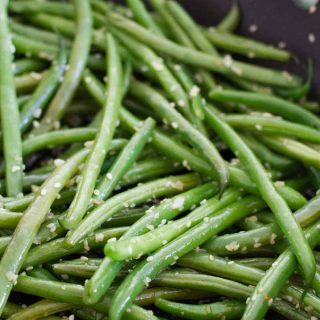 Because pie making doesn’t get much easier than this. I used the recipe on the Karo® Syrup website because I knew it would be a winner! 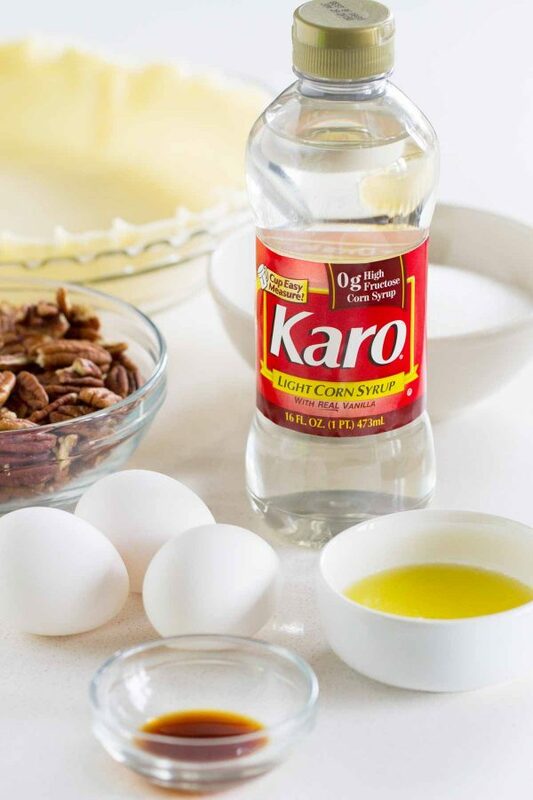 You start with Karo® Syrup because it gives your pie the perfect amount of sweetness and gooeyness that a pecan pie needs. You can either use light or dark, it’s simply preference. Dark will give your pie a more robust flavor, while the light gives a more delicate vanilla flavor. I usually go for light, but you really can’t lose with either. 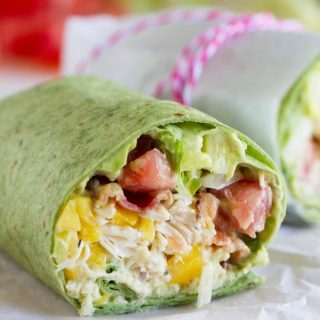 The only other ingredients you need are eggs, sugar, butter, vanilla, and of course – pecans. 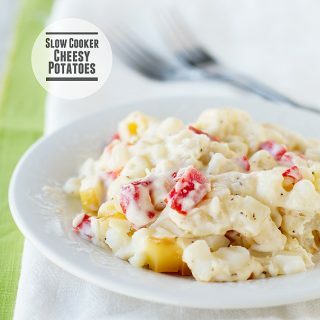 You just mix everything together, no fancy equipment needed, and pour it into an unbaked pie crust. 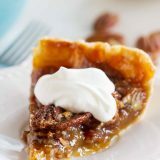 Pecan Pie is one of the easiest pies out there because all you have to do is stir all of the ingredients together, pour them into a pie crust, and bake it. Really, does it get any easier? You can use a homemade crust or a store bought crust, but you’ll want a deep dish crust either way to make sure it doesn’t overflow. Your pie will need a little time to bake so it’s a good idea to cover the crust from the beginning. I have a pie shield since I make so much pie, but you can easily use strips of aluminum foil. If you have an instant read thermometer, you can check the temperature of the center of the pie, and when it reaches 200ºF, it is done. 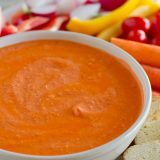 If you don’t have a thermometer, you’ll know it’s done when the center springs back when you press it lightly. If you want to add the Pi symbol for Pi Day, it’s very easy. I just found a Pi symbol online that was about 3 1/2 inches tall and printed it out, then cut that out and used it as a stencil on some extra pie dough. I didn’t want it to get too dark while baking, so I placed it on the pie after the pie had been in the oven for 40 minutes. It was the perfect way to dress up the pie for Pi day! 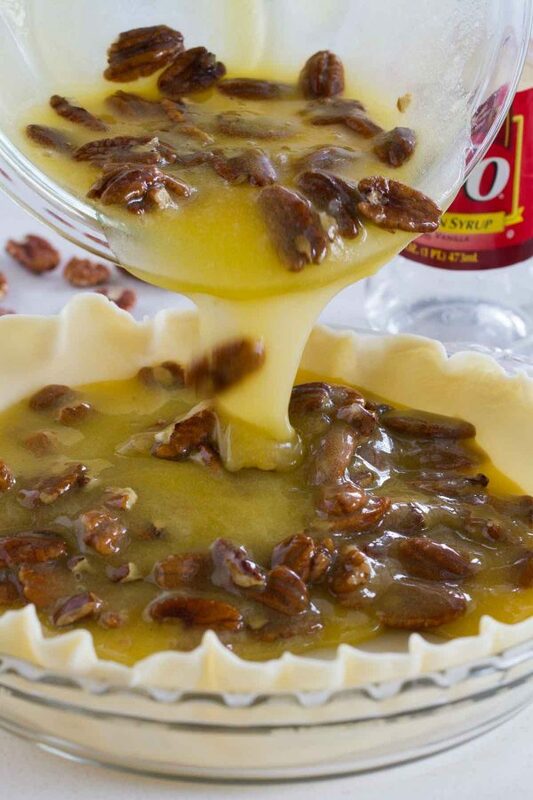 You can’t beat a classic, and it doesn’t get more classic than this Classic Pecan Pie recipe. 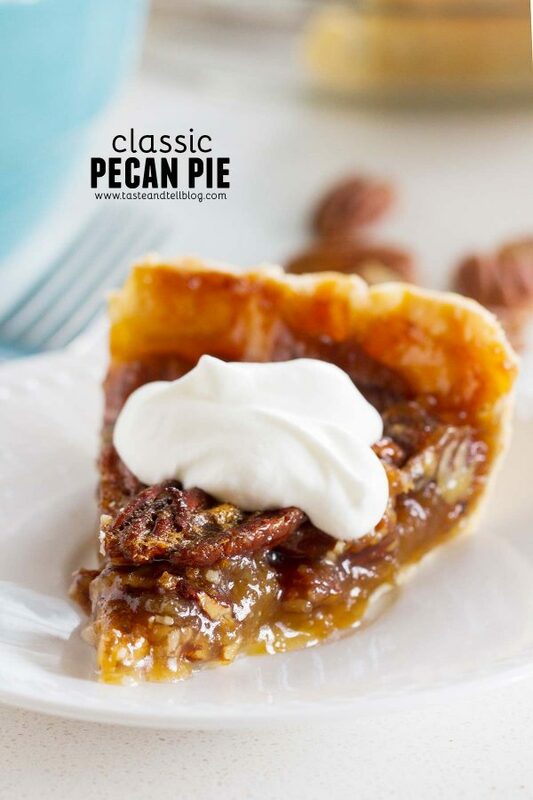 Perfectly sweet with a wonderful crunch from the pecans, this is the best traditional pecan pie recipe! 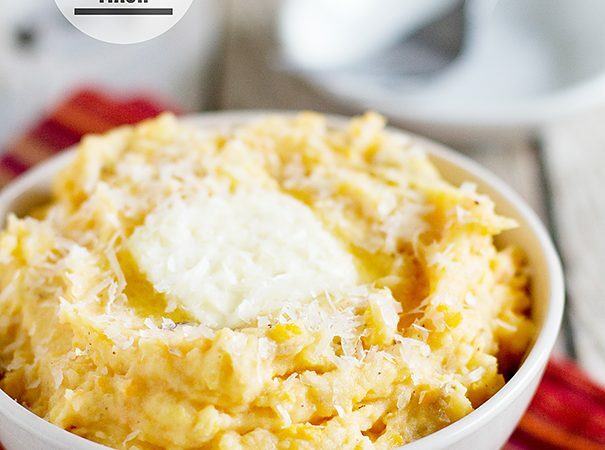 In a medium bowl, mix the corn syrup, eggs, sugar, butter and vanilla. Stir in the pecans. Pour the filling into a pie crust. Bake on the center rack of the oven for 60-70 minutes. The pie is done when the internal temperature reaches 200ºF and springs back when the center is touched lightly. Cover the edges of the pie crust with a pie shield or foil if the crust is browning too quickly. 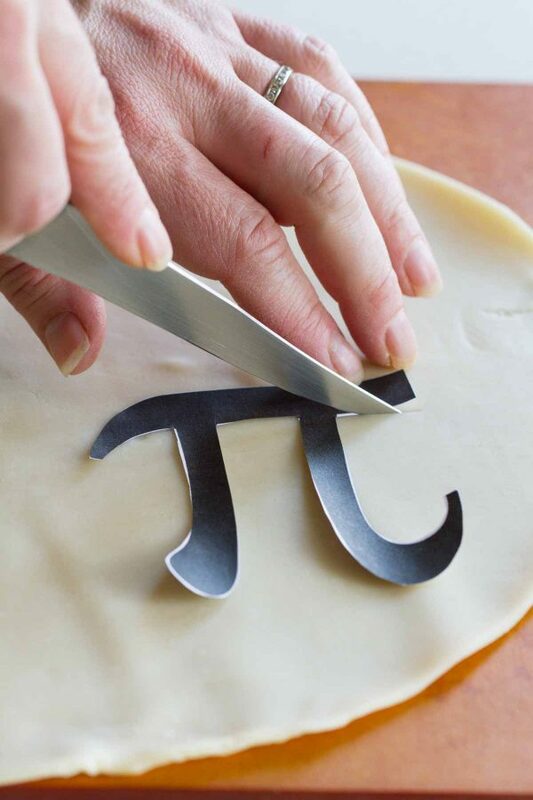 **To make the PI symbol – use a stencil and a paring knife to cut the symbol out of pie dough. Place the symbol in the middle of the pie after the pie has been in the oven for about 40 minutes. Let the pie sit for 2 hours before serving. 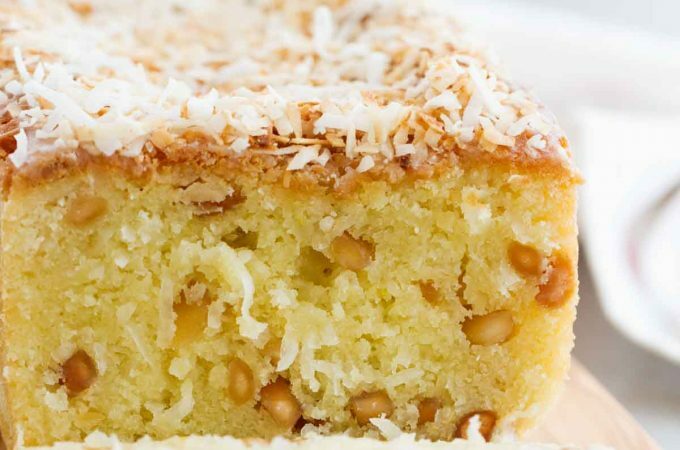 This is good but adding a hint of cinnamon really sets it off and makes it taste like Christmas!